Automatic hose drum. Open ABS drum. Clip and arm in stainless steel AISI 304. 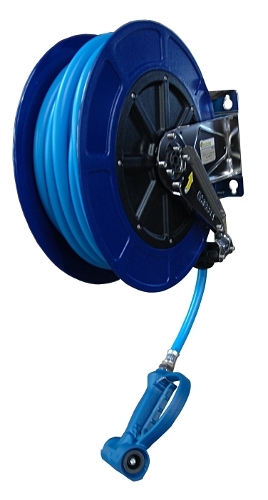 Equipped with an ABS washing gun and 15 meters of THERMOCLEAN AL20 hose diameter 12, set with swivel coupling 3/8. Supplied with a fixed support.